Paul Sancya/APFiat CEO Sergio Marchionne. MILAN-- Fiat shares jumped Thursday after it struck a $4.35 billion deal to gain full control of Chrysler Group, but doubts remained over whether the Italian carmaker can use the merger to cut losses in Europe. Investors welcomed the deal struck by Chief Executive Officer Sergio Marchionne under which Fiat will buy the 41.46 percent of the No. 3 U.S. automaker it doesn't already own, without raising funds from the stock market. Marchionne, who has run both companies since Chrysler's 2009 U.S. government-funded bankruptcy restructuring, aims to merge the two into the world's seventh-largest auto group. However, analysts worried about how the deal will increase Fiat's already heavy debt burden, despite a relatively low price negotiated by Marchionne after more than a year of talks. Fiat shares rose as much as 16 percent to levels last seen in August 2011 after the agreement, announced late Wednesday, %VIRTUAL-article-sponsoredlinks%which aims to combine the two automakers' resources and rejuvenate Fiat's product lineup. "They paid less than the market had expected and there will be no capital increase to fund this, so no wonder the stock is flying," a Milan-based trader said. "While it's still to be seen how this will bode for Fiat's future, this is a good start to the year for a company that has had quite a tough ride recently, especially in Europe." Fiat will buy the stake in the profitable U.S. group from a retiree health care trust affiliated to the United Auto Workers union. The trust will receive $3.65 billion in cash for the stake, $1.9 billion of which will come from Chrysler and $1.75 billion from Fiat. After the deal closes, Chrysler has committed to giving the UAW trust another $700 million over three years. However, Citigroup (C) analysts said Fiat's debt would become the highest for any European motor manufacturer. "Group net debt will rise to around 10 billion euros ($13.8 billion) upon completion of this transaction ... leaving it the most indebted [original equipment manufacturer] in Europe," they said in a note. "We continue to have concerns about the sustainability of this heavy debt burden." It remains to be seen whether the merger will cut Fiat's losses in Europe, where the company had promised to break even by 2016. Marchionne's plan depends on Fiat's ability to share technology, cash and dealer networks with Chrysler, both easily and cheaply. Chrysler and Fiat currently have to manage their finances separately. A full merger will make it easier -- but not automatic -- to combine the cash pools of the two companies, giving Fiat more funds to expand its product lineup. Chrysler, which Fiat has been running since the bailout deal with the U.S. government, is now a profit centre for Fiat. The Italian carmaker has been hurt by sagging sales in Europe, whereas those in Chrysler's North American home market have risen nearly 50 percent since 2009. The deal raises expectations that it will allow investment in underused Italian plants and to launch new models in what analysts and ratings agencies expect to be a steadying market from 2014. Fiat has plans to build Jeeps and a new line of Alfa Romeos in Italy for export to markets in Asia, Latin America and the United States to offset flagging demand in crisis-hit Italy. But whether Marchionne will put billions of euros into Italy and Europe, where the group has lost much of its market position in recent years, or elsewhere is still uncertain. "The bad news is that he's spent no money for the past two years at Fiat because he was waiting for this to happen," said a London-based analyst at a major investment bank. "He's not getting any exposure to European recovery. The U.S. asset is not as good as its peers and needs money spent on it. 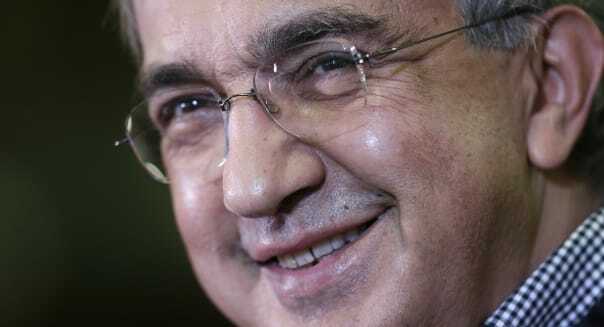 Marchionne has shown he can get the job done but I'm still buying a dream." By 1112 GMT (6:12 a.m. Eastern time) Fiat shares were up 12.4 percent at 6.68 euros, with traded volume four times the previous month's daily average. -Additional reporting by Valentina Za in Milan and Laurence Frost in Paris.